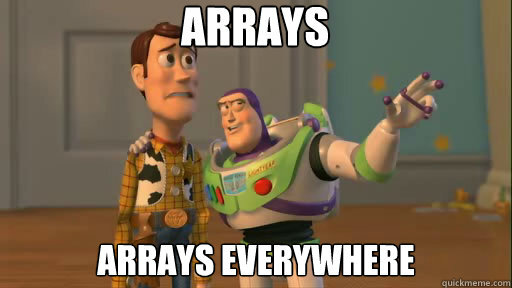 For Wednesday: We're (hopefully) wrapping up our discussion of arrays on Wednesday and might even dive into Chapter 6. We'll see. Email or come see me for help on your team project!